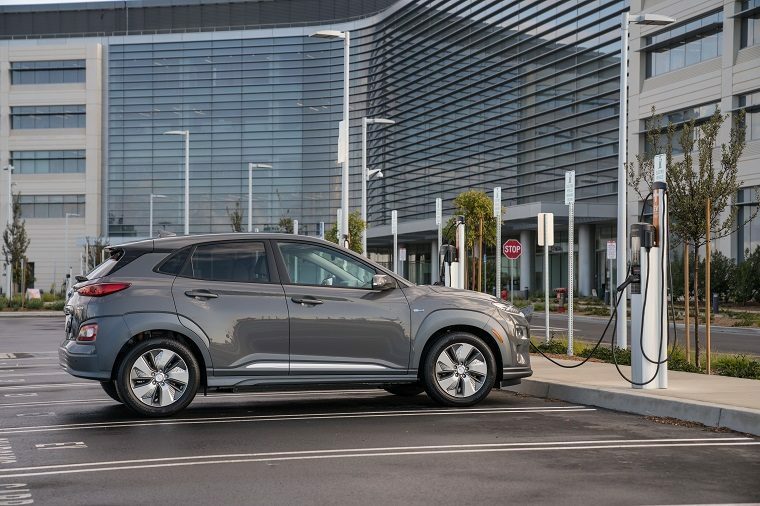 With a 258-mile range, the new 2019 Hyundai Kona Electric SUV can be driven longer between charges than any other electric vehicle from a full-range automaker (i.e., not Tesla). 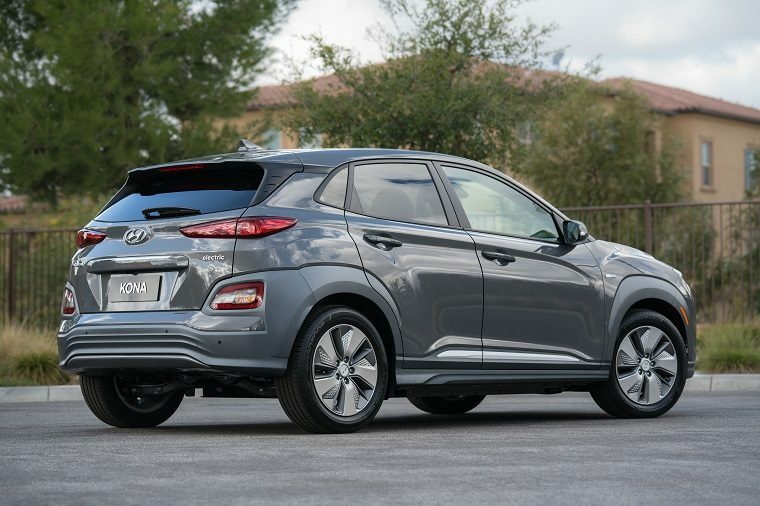 That’s great news for Hyundai, which estimated the Kona Electric’s range at 250 miles when it introduced the vehicle earlier this year. The Chevrolet Bolt EV was the former range ruler, but the Kona Electric bests that car’s 238-mile rating by 20 miles, according to a new EPA estimate. It also beats out the Nissan Leaf by 107 miles, the Hyundai Ioniq Electric by 134 miles, and the Honda Clarity Electric by 169 miles. The Kia Niro EV, which shares a battery with the Kona Electric, is expected to boast a range that’s similar to the Kona once it’s been tested by the EPA. The EPA’s estimate for the Kona Electric also included official MPGe ratings. The Kona Electric can achieve up to 132 MPGe in the city, 108 MPGe on the highway, and 120 MPGe combined. The Kona Electric’s motor is powered by a 64-kWh battery, putting out 201 horsepower and 292 lb-ft of torque. The onboard 7.2-kWH charger can fully recharge the Kona’s battery in a little over 9 hours. The quick-charging port restores full power in under an hour when connected to a 100-kW DC fast charger. The Kona Electric will also feature standard Apple CarPlay and Android Auto, an available 8-inch touch-screen infotainment system with navigation, wireless phone charging, and a Head-Up Display. Hyundai hasn’t announced pricing and a release date for the U.S. yet.